1990: An amber/orange edge to the color suggests full maturity, and the aromas and flavors confirm it. 1990: An amber/orange edge to the color suggests full maturity, and the aromas and flavors confirm it. 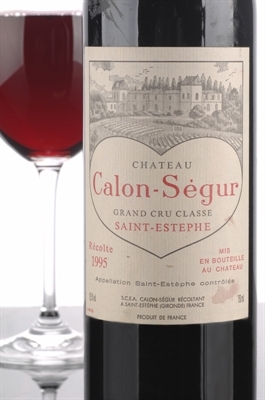 The medium-bodied 1990 Calon Segur exhibits sweet cedar, currant, herb, plum, and kirsch notes along with a dusty earthiness. It lacks the concentration of the finest vintages from the mid-nineties as well as every top vintage from 2000 onward. No doubt high yields and a lack of a strict selection have resulted in a wine that has consistently been on a fast evolutionary track. There is a sensuality and sexiness to it because of its full maturity. Very pleasant at present, it needs to be drunk up over the next 4-5 years.